This Christmas, send a couple of cushion covers instead of flowers or cards. 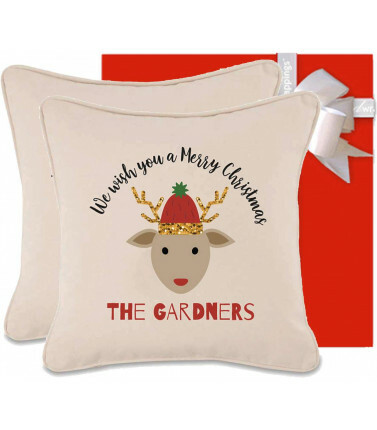 These Christmas cushions are not only a great Christmas decor, your gift will stay around over the Christmas season and they will be thinking of you! Gift wrapping and card included. Type your gift message below. Price is for 2 cushion covers and excludes the cushion filling. Please allow at least 10 working days for personalisation.